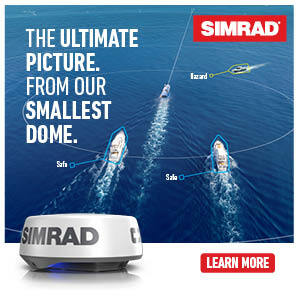 Into The Shop - Simrad NSS Evo 3 brought to you by West Marine. In this clip, Scott Walker goes over the Simrad NSS 16 Evo 3 and the advantages of having multiple channel transducers. These transducers carry a medium frequency that covers a diverse amount of fish. For example, you can switch your preference quickly from snapper to swordfish, or change your scope to a wider or narrower distance search. With this easy-to-use touch screen, scoping out your next desired fish is easier than ever.